Best Slots Apps in India: Play For Real Money and For Free! Slotomania: Play for Fun All You Want! Huuuge Casino App: Incredible Bonuses for Free! Here's the list of all the apps you need if you come from India and want to play slots on your mobile. It’s not always easy to find good online casinos to play slots in India. Especially if you want to download an app. Even more so, if you want to play slots for real money. Luckily, all your searching has paid off as you’ll find everything you need on this page. 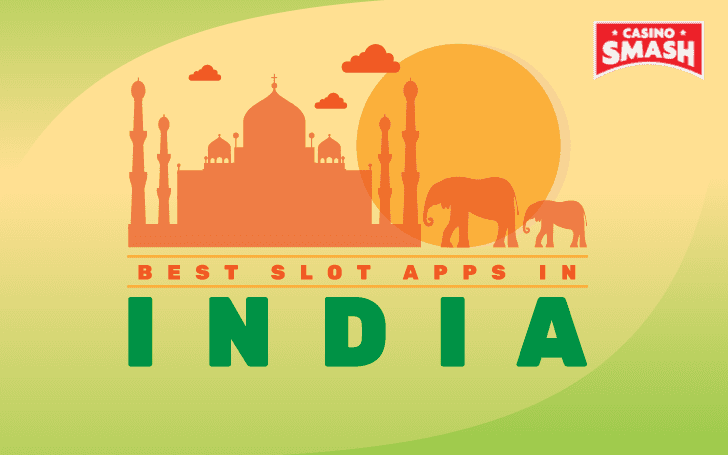 Below, you can see a list of the best slots apps for Indian players. Both for Android and iPhone. No matter if you want to play for free or with real money - we’ve got something for you! When it comes to playing slots for real money, I’ve included some apps that allow playing with Indian rupees. Even the bonuses are in your own currency! Also, most of casinos allow you to deposit with both Skrill and Neteller, the most popular e-wallets in India. All of the casinos on this page are 100 percent safe to play. They have official gambling licences, which means they are fair and secure. So, don’t hesitate any longer - head straight to this list and pick the best slot app to play on your mobile. I want you to have fun wherever you go! I’ll begin the list with probably the best slots app to play for real money in India: 888Casino app for iPhone. 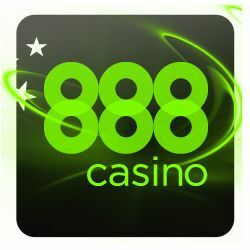 Sure, you can also access 888Casino online (in any case, you’ll have to do it with your Android! ), but an app will make the experience even better. Register and play more than 100 different slot machines, roulette, blackjack, and baccarat. Have fun anywhere you go - and win real money while you’re there. Just create an account and receive £88 for FREE. That’s right - no deposit is needed. The casino also hosts regular promos for free spins. What else could you possibly need? Remember - 888Casino is one of a few places to play with real money in India. Download 888Casino to your iPhone and play high-quality games, indulge in generous bonuses, and — good luck spinning! Do you carry your mobile phone everywhere you go? Then you simply must have Slotomania app on your Android or iPhone! If you’ve never heard of Slotomania, this is your chance. It’s an app for playing slots - for FREE! Yeah, it doesn’t offer real money gambling in India - but it is the perfect choice if you’re addicted to slots but don’t want to spend a fortune. 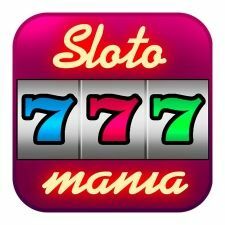 Now listen - Slotomania is the most popular free casino app in the world. It has more than 14 million players - and the number is rapidly growing! Surely there must be a reason for this - and everything starts with the games. At Slotomania, there are more than 160 slot machines. And they are unbelievable. If you’re not sure what to play, you can try Silver Lion, Magic Trixie, or Prince Eclipse. It works like this: you play games, collect experience points, and unlock new slots machines. This is an interesting way to play, as you’ll be looking forward to new games to unlock. And now, it’s time for what I like most - the bonus. All new players at Slotomania get 10,000 FREE coins! There has never been an easier way to get a bonus - and you can do it too. But I just had to include Yako Casino on the list - just because it’s perfect for Indian players. Sure, it doesn’t have an app (yet! ), and you can’t download it to your Android or iPhone - but it has a superb mobile platform that functions perfectly on any device. So, why do I think that Yako Casino is worth a damn? One of the reasons would be playing with Indian rupees. Not only can you deposit and withdraw with your currency, but also get all the juicy bonuses and play all the games! And I love that you can do this both on your mobile phone and PC. Next, we have the games. 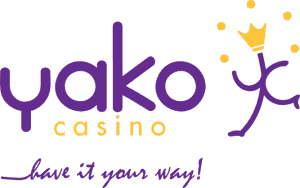 Yako Casino has all the most popular games you could think of, including Finn and the Swirly Spin and Starburst. No wonder - the site collaborates with such online gaming giants like NetEnt, Microgaming, and Evolution Gaming. However, if you’re more into niche games, Yako Casino won’t disappoint you either. Here, you can find some of the rarest slots that are available to Indian players. Including jackpots! Of course, there’s also a vast selection of blackjack, roulette, baccarat, video poker, and live games - almost all of which are 100 percent playable on mobile. Create a new account at Yako Casino now and claim the deposit bonus and hundreds of free spins! If you know a thing or two about real money gambling in India, you’ve probably heard about Royal Panda Casino. Much like Yako Casino, Royal Panda hasn’t launched a mobile app yet - but that doesn’t mean that you can’t access it on your Android or iPhone. Why is this online casino so popular in India? The most obvious reason is the possibility to deposit, withdraw, and play slots and other games with Indian rupees. Even the bonuses are 100 percent adapted to the Indian market. For example, right now they are offering a great welcome bonus to play slots that doubles your first deposit. The cash match is worth up to ₹10,000! Also, monetary options are quite convenient for Indian players as they include Skrill and Neteller. 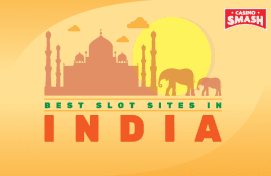 But here’s the most important question: is Royal Panda Casino among the best sites to play slots in India? Just go to the casino and pick anything from hundreds of slot games - the choice is yours! Whether you crave for something familiar like Gonzo’s Quest or something undiscovered like Gnome Wood and Babushkas, you’ll be happy with your game. Got tired of slots? Then go and play blackjack, poker, roulette, baccarat, or live dealer games. Register at Royal Panda Casino India now! Now here’s an app you won’t be able to resist. It’s perfect when you want to play slots for free in India, as the application is available in every country of the world. What makes Huuuge Casino so tempting is its wonderful no deposit welcome bonus. With this many casino chips, you can play slots as long as you want, as you are likely to win more and more. And in case you want even more, you can simply invite your friends to join Huuuge Casino through Facebook. The app will reward you with additional 500,000 chips! Now, about the slot machines themselves. Download Huuuge Casino and you’ll be playing more than 100 different slots. You can choose your game depending on your mood. The slots can be exciting, relaxing, or emulating the feel of Las Vegas. Not sure what to play? For starters, you can try The Mummy, Diamonds Slots, or Call of the Wild. In any case, Huuuge Casino app is something you must have on your phone if you want to play slots in India for free! Having read this list of top slots apps for Indian players, which one will you choose? No matter if you want to play for real or virtual money, you shouldn’t have any problems with these applications. Just don’t procrastinate too much - be quick and download the casino of your choice while it still offers generous bonuses! Of course, it’s very important to read all the T&Cs of the casino you want to play at. This will protect you from unexpected problems. And I want you to have the time of your life!